Latest News: APGENCO Trainee AE Admit card will available to download from 17th April 2017 at 2.30 pm. Duration of Exam is: 2hrs. The exam is in: offline mode i.e.OMR Sheet model. All the questions are: Multiple Choice questions. 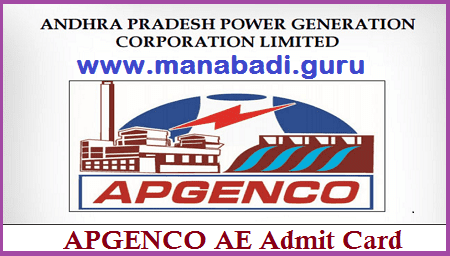 #See the link to APGENCO AE Admit Card 2017. #Enter your Application Number/Registration Number and password. #Download the call letter/admit card. #Take a print out of the call letter to the venue of Exam. #APGENCO Trainee AE Admit card will available to download from: 17th April 2017 at 2.30 pm. #APGENCO Trainee AE Exam date: 23rd April 2017.